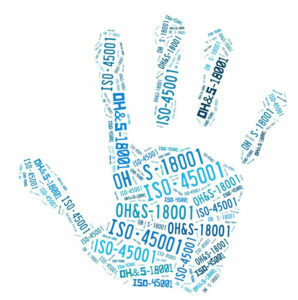 Yes coming soon…ISO 45001-2018. This will change the way organisations would implement a safety management system. Right through the start of the journey until certification there are more than 54 “shall” requirements to be followed, implemented and verified at all levels of implementation. Gone are the days where only few clauses of OHSAS 18001 were implemented with few steps related to Hazard and risk assessment, objectives and targets were being distributed. With the launch of the ISO 45001-2018 emphasis is on Risks and Opportunities, Context of the organisation, Deeper thoughts and inputs on Interested parties, External and Internal issues, Detailed Programs, Effective dissemination of policy to outsiders and employees, Effective trainings to all vendors and employees and many more. Wait for more details on ISO 45001-2018 Auditors training, ISO 45001-2018 Consultancy, ISO 45001-2018 Migration, ISO 45001-2018 Transition, ISO 45001-2018 Certification, ISO 45001-2018 Lead auditor training in Bangalore, Mangalore, Goa, Vapi, Chennai and Hyderabad. Call 9845313910, 9845078743 OR drop an email to shakti@gqsindia.com to know further details.